Tom www.ubriaco.wordpress.com has a great wine collection and will try to find the perfect wine match for each course. 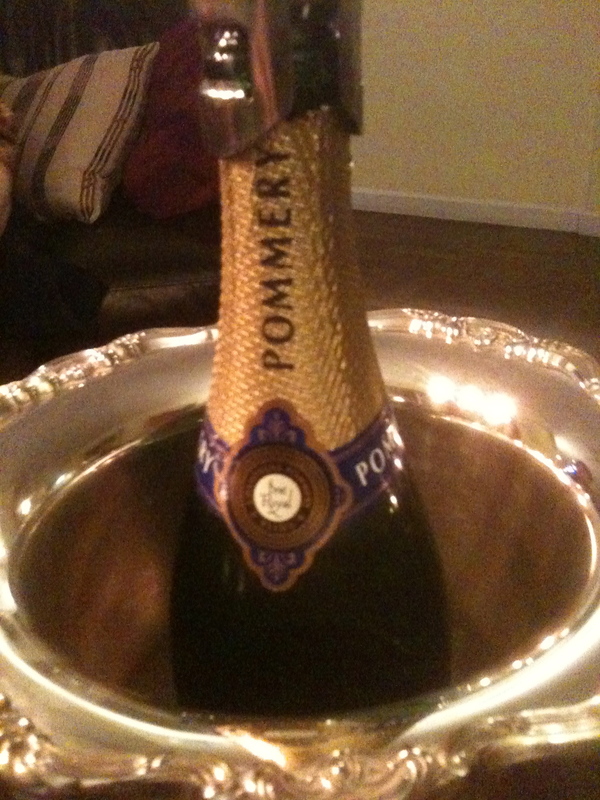 The first wine was Champagne Pommery Brut NV. 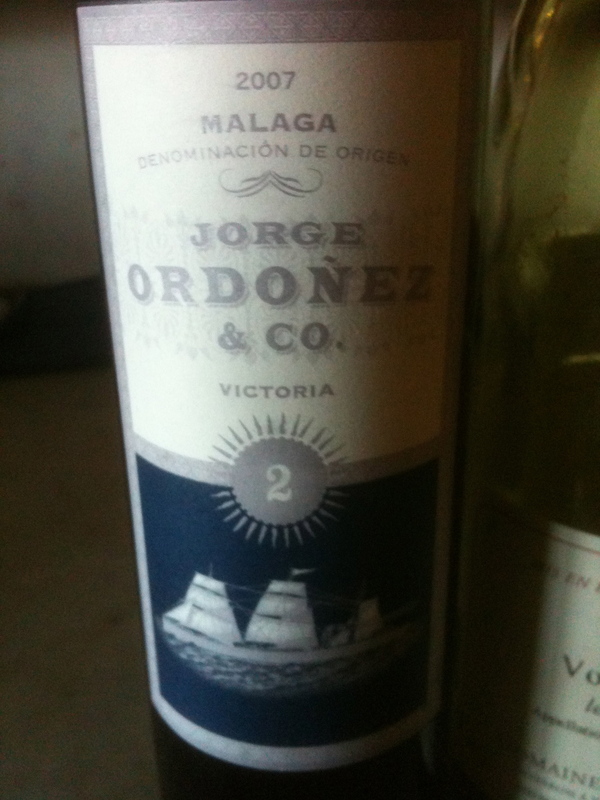 Made from 35% Chardonnay 35% Pinot Nor and 30% Pinot Meunier. 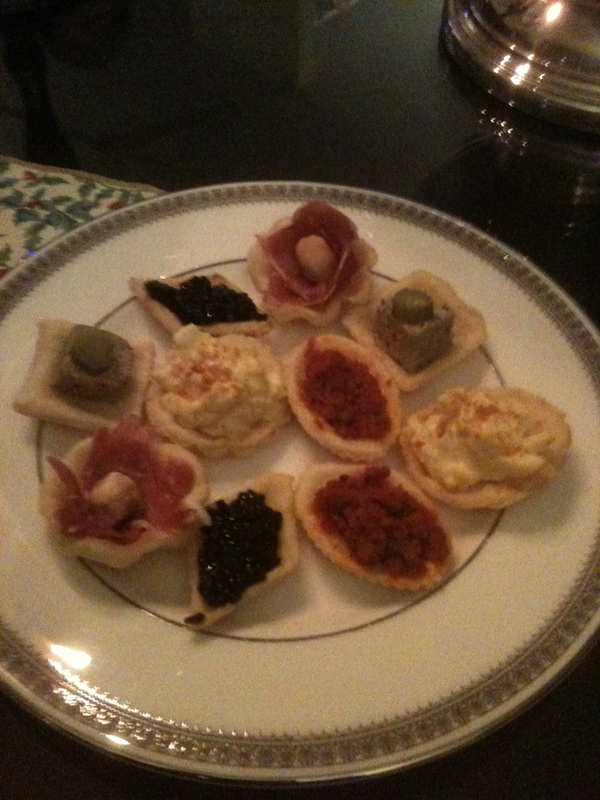 It was very easy to drink and worked very well with the little pastry shells filled with foie gras, egg salad, prosciutto, caviar etc. The first course was an individual ramekin filled with an egg baked in cream with white truffle paste, which they had brought back from Alba. The wine to match this dish was a Corton Charlemagne Grand Cru 2003 Labouré–Roi. As Tom poured the wine into the glass it had a golden orange color and even without tasting it we could see that it was oxidized. Then we had an Alsatian onion quiche. 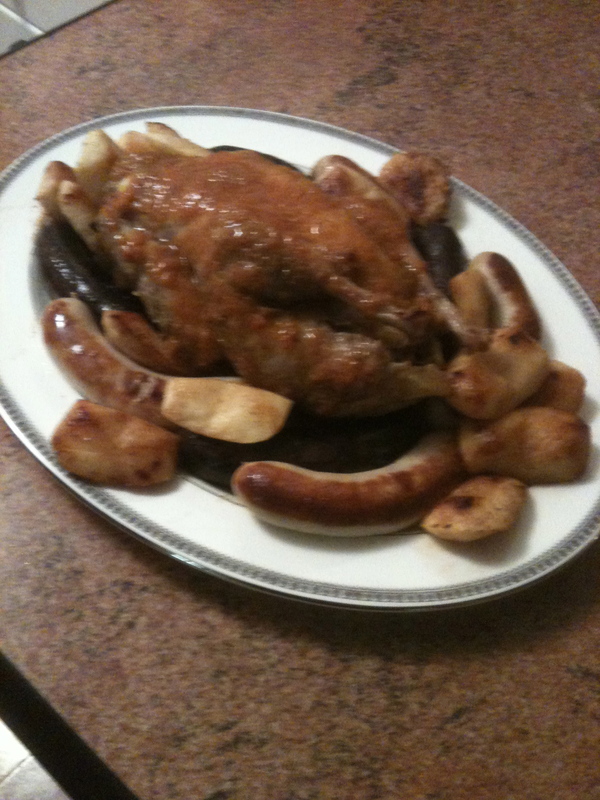 The main course was Pintadeau farci Jean Cocteau– stuffed guinea hen from a recipe in Raymond Oliver’s La Cuisine. 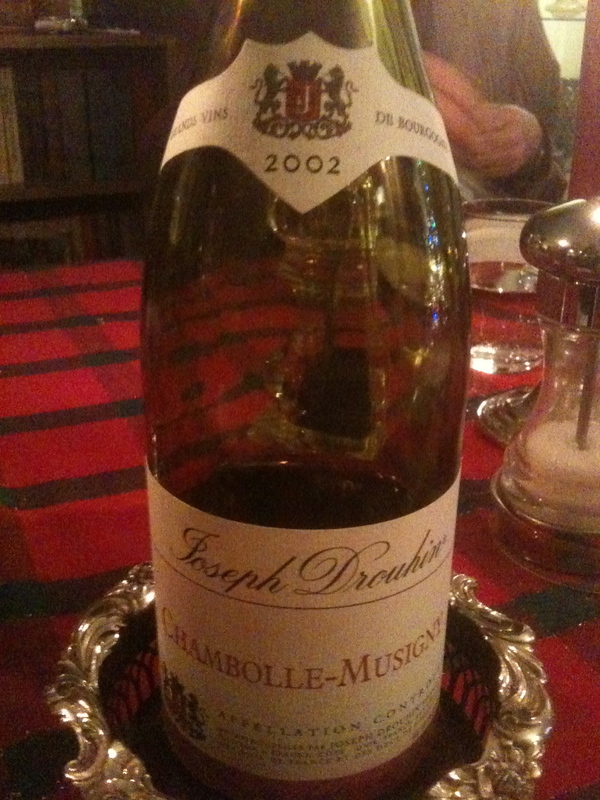 With it drank Beaune Premier Cru Greves 2005 Moillard and a Chambolle Musigne 2003 from Drouhin followed. They were both showing very well but the Moillard was a bit softer. Next there was a cheese course. All the cheeses were great but the gorgonzola was really special, we drank a Chateau Brane Cantenac1989, Cabernet Sauvignon Carmeriére. Dessert was a not too sweet cranberry crostata made by Michele. For those that were still able to drink there was grappa. Monday and Tuesday we stayed home and tried not to eat too much. 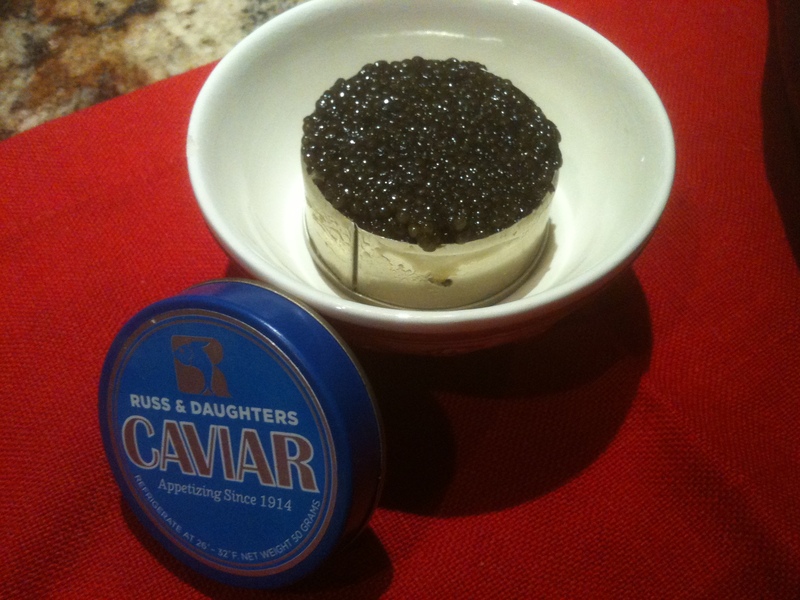 Wednesday we went to Russ & Daughters to buy caviar and foie gras for New Years Eve. We also went to an Indian restaurant but did not have wine. On Friday we met a friend from Miami and went to Legend, a Chinese restaurant that has very good food and excellent Martinis. 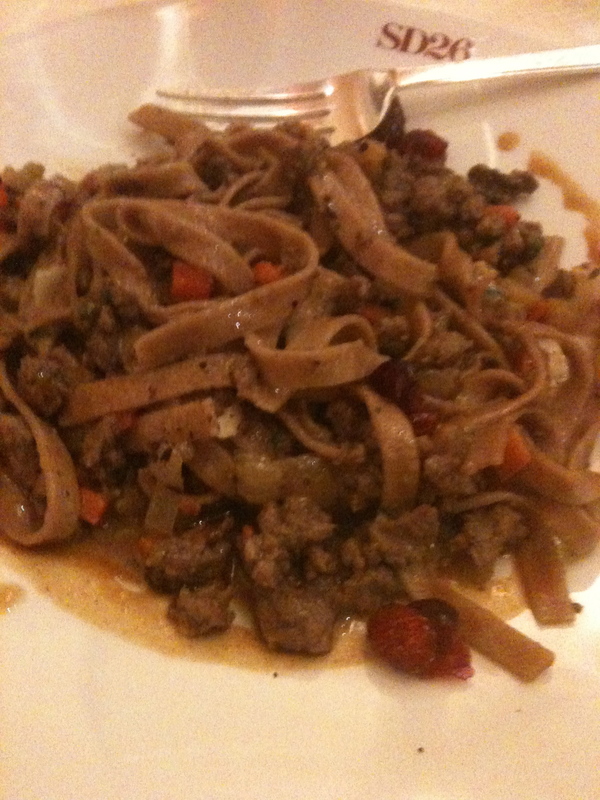 Love the spicy lamb with cumin. New Years Eve we went to Japonica for Japanese food for lunch. 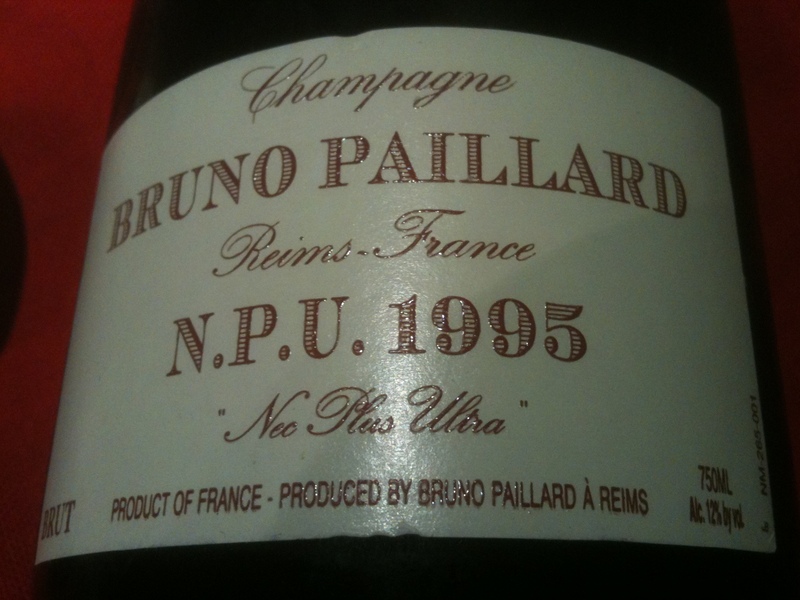 That night to celebrate the coming New Year we started with the Caviar and had a bottle of Champagne Bruno Paillard N.P.U. Brut 1995. Made from 50% Chardonnay and 50% Pinot Noir I had mentioned to someone that I had had it at a tasting and liked it and I received it as a gift from him. With the foie gras we drank a dessert wine from Spain- Malaga 2007 N0 2 Victoria It is a naturally sweet wine made from the Muscate Alexandria grape and fermented in stainless steel Joege Ordoéz & CO. This also was a gift from a friend. 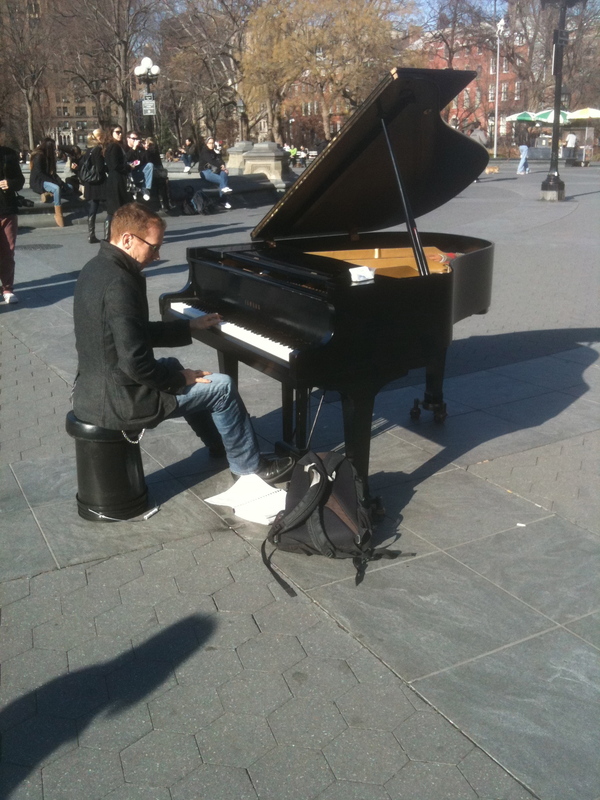 On New Years Day we took a long walk and in the middle of Washington Square Park there was a man playing classical piano. It was a beautiful day and we stood and listened for a while. His name is Colin Huggins and he was very good. For dinner that night we had the rest of the foie gras, steak and potatoes fried in duck fat. 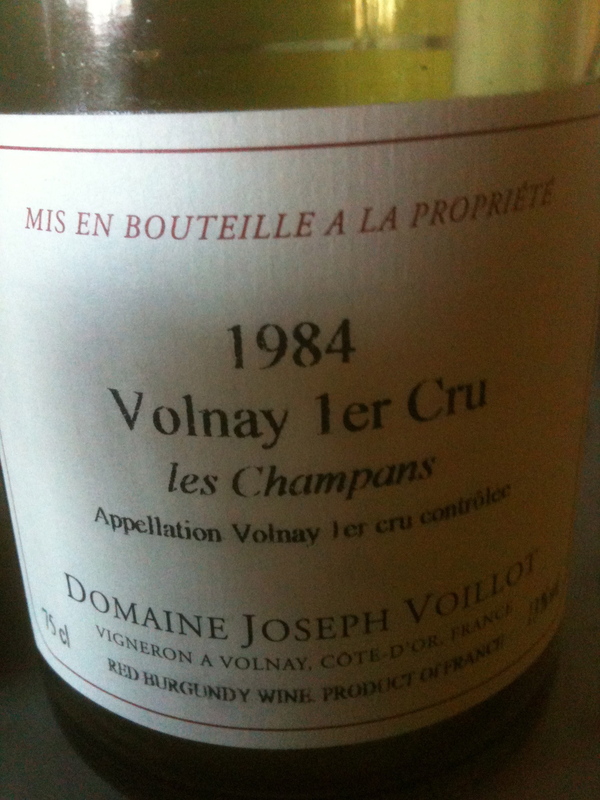 The wine we drank was a 1984 Volnay 1er Cru “les Champans” Domaine Joseph Voillot. 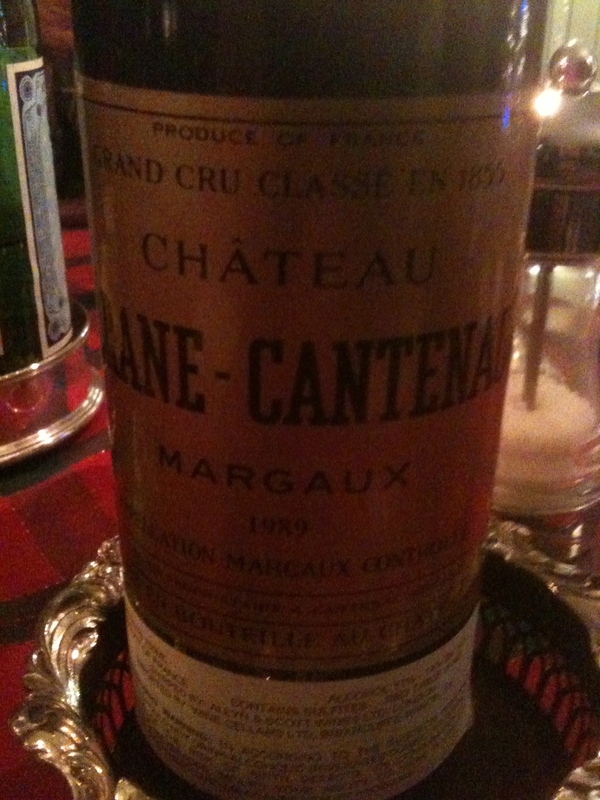 This wine was everything that a red Burgundy should be and it was a great way to start off the New Year! I would like to thank everyone that has followed my blog and Happy New Year to one and all.